2016 brought many things to world’s attention, but cyber security was definitely among the most talked about topics, not least because of the election in the US and the hacking charges around it. When it comes to cyber security, one company has been leading the way in keeping our information protected: Symantec. Last year, the cyber security company published its next endpoint security system Symantec Endpoint Protection 14. So, what is it and how did the company manage to make it better and faster than its predecessors? Symantec Endpoint Protection is antivirus software, providing the user with a personal firewall to protect against threats online. The centrally managed software can deliver security for servers, as well as workstations. It’s therefore, popular software option for small and big businesses. The first Symantec Endpoint Protection came out in 2007, after which the security company has published updated version. The most recent version, Symantec Endpoint Protection 14, was published in 2016. The software is able to operate on Microsoft Windows, Mac OS X, and Linux operating systems. The biggest selling point of the software has been its application and installation. Since it is a cloud-based system, you don’t need to update, install and integrate spate software points across your system. 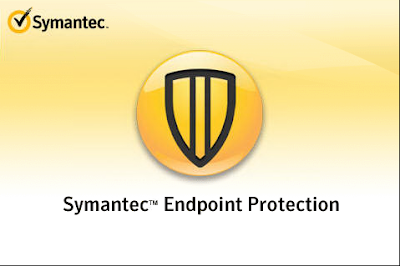 Symantec Endpoint Protection works across your system and you can simply manage one in order to manage it all. While the software is not a mobile device management tool, nor does it claim to be one, it still does provide support when docked or synchronized. So, if you are using an Android or iOS device, you can be sure to stay safe as well. Just remember that this feature doesn’t provide the same level of security as a fully integrated mobile management software or system. How does it differ from its competition? The software has managed to win over reviewers, with most security and computer publications giving it the highest ratings in terms of security. The 2016 Forrester Wave said the software to offer “the most complete endpoint security suite on the market”. The review went on to say the Endpoint to be able to cover “almost every possible attack”. So, what makes Symantec Endpoint Protection so much better than its competition? The software has been successful in focusing on a balance between enhanced security and faster user experience. The big boost in this has been the reduction in the application’s footprint. The footprint of installing a fresh version of the software is almost 70% smaller than its predecessors. Furthermore, the new software utilises Intelligent Threat Cloud. This guarantees the cloud uses on demand look up for signatures, updating the newest threat information on the go. In total, this has been able to cut down the frequency of signature definition files, which in turn has increased performance. The software has also managed to boost its scan times. In fact, the scanning of both clean and malicious files has improved by 20%. This is again largely down to the Intelligent Threat Cloud and the Emulator, which helps with the real-time scanning of each new file that is added on to the system. According to Symantec, the average scan for clean files is around 3.5ms and around 300ms for malware files. How to get your hands on the product? The software is currently available around the world. You can purchase the product online through VoucherBin at Symantecstore.com, which is currently offering winter discounts on some of its cyber security products. The cost is not high at around £40 for the basic protection plan, but with the help of voucher codes, you could cut down the pricing even further. Note that the pricing goes up depending on how many licenses you are looking to purchase. The software can be ordered either as a digital-only copy or you could get the hard copy delivered straight to your doorstep. Remember to Money-Back Guarantee, which can be applied for within 45 days of purchase if for some reason you don’t like the product. In today’s world, cyber security is essential, whether you are a business owner or a private citizen. You definitely want to learn to separate myth from facts and protect yourself when online. So, make your new year all about staying safe on the Internet. Author Bio: Nidhi Mahajan is passionate about content writing. She has been an active blogger for more than 10 years and has extensive experience writing for varied genres. She has taken a professional course on internet marketing and SEO to enhance her qualifications in the online blogging. She improves her client's website ranking by providing backlinks from high authority sites like Andriodguys, HuffingtonPost and many more. She is available for any kind of content writing and available to publish on HQ Blogs.